A social group townie walks by, and you want your sim to get to know them and be friends with them (for example, because your sim craves new friends). You know this townie well, and remember which group they belong to, so you can go into the "Greet..." menu and pick the appropriate gesture. Or you *don't* know the townie, and you'll have to guess/look it up. Personally, I'd prefer my sims to be more intelligent than that. I want to forget about looking it up, order my sims to simply greet the walkby, and have THEM make an educated guess at how to go about it. However, I do *NOT* want to lose any special greeting options, such as the friendly hug, the romantic kiss and the smooch. So I've gone and done something about it. My idea is the following: if your sim is already friends with the walkby, they will greet them according to the level of their relationship: a friendly hug, a romantic kiss or a smooch as appropriate. But if they're not friends yet, the nature of the greeting will be determined by other factors in an attempt to speed up the relationship's growth. Nice sims (7+ in Niceness) will wish to please the walkby by honoring their cultural stance and using the right gesture. Charismatic sims (7+ in Charisma) have *learned* to think about the other sim's feelings, and will show off this ability. Serious sims (3- in Playfulness), having observed the people around them, instinctively know how to approach their target. Logical sims (7+ in Logic) will want the intellectual satisfaction of having correctly determined the right gesture from subtle signals that the walkby emits. So any sim who meets two requirements - one from each set - will use either an innate ability or a learned skill to select the correct gesture for their target sim, even if you simply chose the standard "Greet <person>", or when they are autonomous! This mod *may* even affect how some of the social group townies respond to townies of other groups: not choosing their OWN gesture, but that of the other to confuse the heck out of innocent by-standers! This also works quite well with Marhis' mod AL Social Groups for playables, although it does not (yet) check a target's inventory to find out if they have any of the Social Group supplies with them. I might add that in a future update, just like I might also add config options to change the requirements. Let's first see, though, if this is to anyone's taste. UPDATE May 26th, 2015: Version 1.01 - Special feature! This mod could already load side-by-side with Marhis' AL Social Groups for playables without any conflicts, but that wasn't enough for me. So now my (and your) sims can recognize Marhis' Social Group playables as I call them, too. But for those *custom groupies* to be included, you *must* have Marhis' mod installed! After all, I want her to get the rightful credit as well! One little extra: because they are such Show Offs, Very Outgoing Sims (7+ in Outgoingness) no longer need to be Nice or have high Charisma to use this power. UPDATE June 7th, 2015: Version 1.02 - This version fixes a bug where the mod failed to flag visitors/walkbys as greeted, even after succesfully performing the right greet. 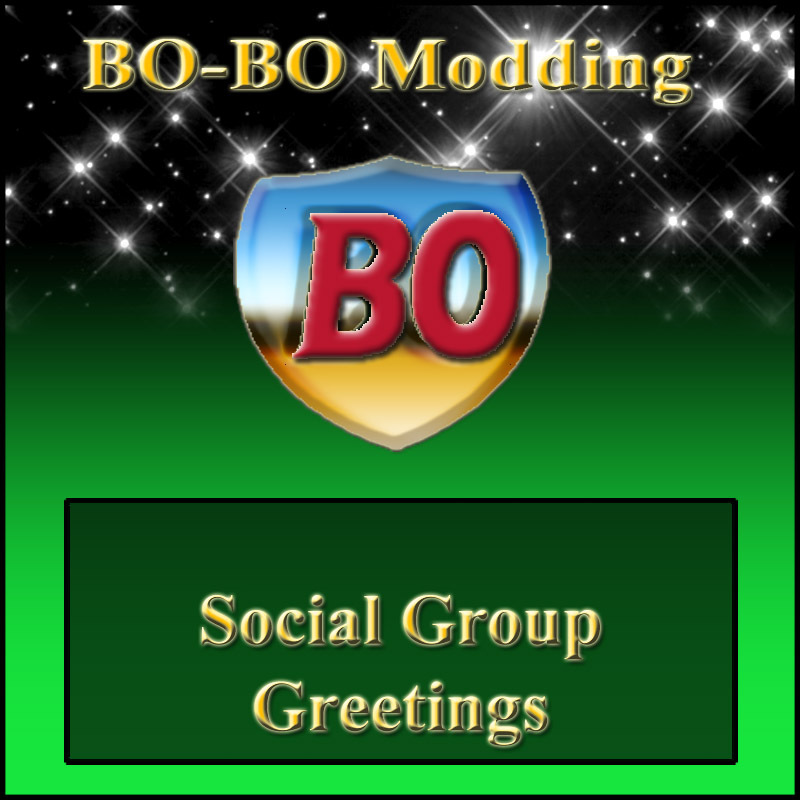 NOTE: Because Social Groups are an Apartment Life feature, you should NOT download this mod, if you do NOT have AL. And it's good to see you creating mods again! This is interesting. I rarely use social groups 'cause it's a hassle, this will be good for me. Yes, it is a good thing. Let's give it a try! Thank you BO!